Splattered Implant, Sebastian Brandt, Shogun, Futuristic Polar Bears, Suyano & Billy The Kit and more. 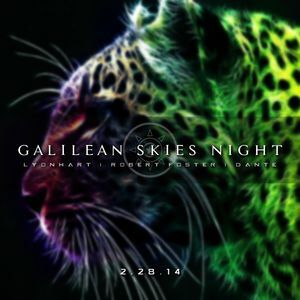 Galilean Skies Night is a monthly online event that brings you the best in dance music ranging from all different styles from House to Trance to Hardstyle from as low as 100 bpm to as high as 200bpm to rage the night away. Stay tuned to Twitter for news on future GSN&apos;s.